You’re sitting inside enjoying the quiet hum of the AC as it pours out heavenly glacial gusts of air upon you. It feels great, you’re eyes are closed, relaxing. The phone rings, but you’re too tired to fully open your relaxed eyes. It’s far too nice inside. And hot outside. You squint at the screen, trying to make out what it says (not because you’re old, either), then it hits you. The screen is far too small. You need a phablet. You need a phablet, and quick. 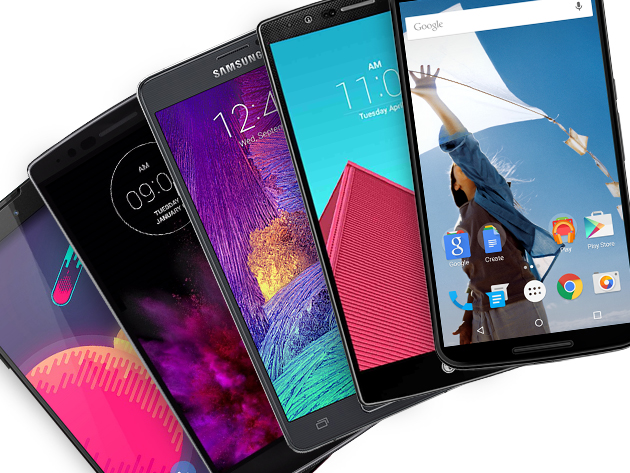 Why not enter our contest to win an Android phablet of your own choosing? It’s the easiest way to upgrade that tiny screen to something that’s supremely usable and renders your every day tasks in incredible clarity. Phablets are all the rage, and despite seeming like huge wastes of screen, they can be an incredible useful middle-ground. My fingers seem to have trouble with smaller keyboards, and I love being able to see more, but have it still be possible to pocket it if necessary. Upon selecting a winner, we will immediately verify that they are indeed a valid person, and that they followed all of our giveaway rules. Any attempt to artificially skew the selection process will result ininstant disqualification from the sweepstakes. The StackCommerce Sweepstakes is open to all humans with 21 cycles around the Sun (worldwide) or more at time of entry.